ROSENBERG, TX (KTRK) -- Rosenberg officials have issued a voluntary evacuation for residents who live near the Brazos River. 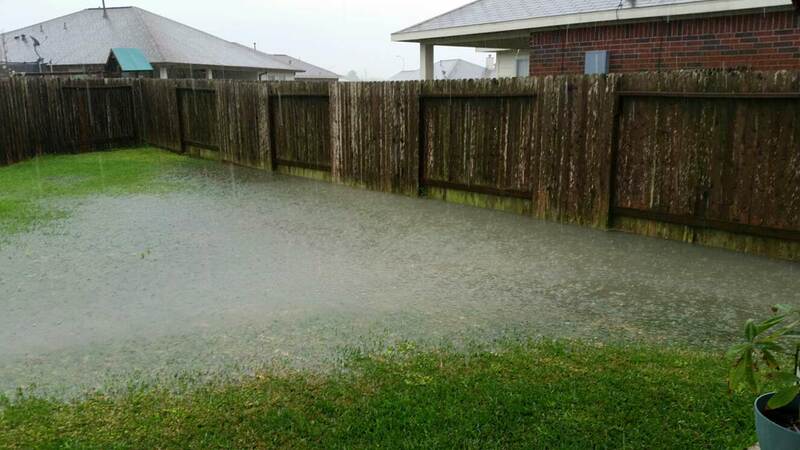 "In anticipation of continued rising waters, Rosenberg encourages all residents that could potentially be affected to immediately take precautions and make the necessary preparations to protect themselves and their property in the event flooding does occur. The City has plans in place to notify all Residents identified as potentially in harm's way," according to the City of Rosenberg Emergency Management. Residents affected by the voluntary evacuation will be visited by officers. The city will notify everyone if the evacuation becomes mandatory. Meanwhile, the City of Lake Jackson says it is monitoring the Brazos River for potential flooding. Lake Jackson officials point to river forecasts that predict the Brazos River leaving its banks north of the Harris Reservoir. If that happens, the city says it is likely that Brazos River flood waters will enter the Oyster Creek and Bastrop Bayou watersheds. As this occurs, water levels in Oyster Creek and the Bastrop Bayou are expected to rise. Lake Jackson City Manager Bill Yenne says in the 1991-1992 Brazos River flood, the river level at Rosharon exceeded 51 feet for 10 days. Flood stage at Rosharon is 43 feet. Currently, the city says the gauge at Rosharon is at 48.22 feet. It is forecast to rise to 50.2 feet by June 1st and then begin to recede. Lake Jackson says the current situation is like the October 1994 that was less intense than the 1991-1992 flood, but warns this could change. A release from Lake Jackson says, "This forecast all depends on whether any more rain falls in the Brazos River watershed north of our area. City crews are in a standby mode. We will continue to monitor this potential flooding event."